Anyone who has ever watched a football game on WatchESPN will tell you that the least appealing part of the broadcast is watching the same three or four advertisements over and over and over (and over). 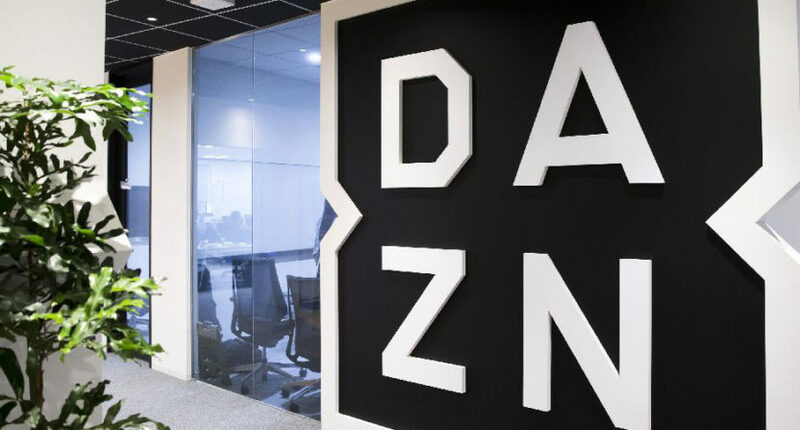 DAZN (pronounced “da zone”), the up-and-coming sports-streaming service led by former ESPN President John Skipper, is hoping to prove that doesn’t need to be your experience when watching live sporting events online. Skipper, executive chairman of the DAZN Group, recently did a bunch of interviews in which he really tried to play up the appeal of the future-looking sports platform, especially compared to the way that traditional broadcasters such as ESPN have been doing business. One of the core components of his and DAZN’s pitch is that it’s ad-free, at least for now. In a recent article by the Wall Street Journal, Skipper and his company explained in a little further detail how they plan to make the sports-viewing experience a bit less repetitive and a bit more enjoyable. “What we will not do is irritate people,” Mr. Skipper added. The company plans to introduce its own ad model in the next six to eight months, which will provide a more integrated viewing experience for advertisers, which includes sponsored content and product placement. Not that the broadcast networks aren’t already aware of the erosion that can happen with their ratings and audiences over the frequency of ads. A recent Variety report noted that the NFL is trying to convince it’s broadcasting partners to get rid of billboard ads (graphics that pop up before or after breaks in the action promoting sponsors). The results have been mixed so far. Fox has basically done away with billboard ads from “Thursday Night Football.” However, the ads are still prevalent in Sunday afternoon NFL games. ESPN also appears to be testing out several replacement options, but CBS has so far refused to budge on their ad model. The way that DAZN’s business works, they aren’t trying to compete head-on with CBS, Fox, or ESPN. Rather, they seem themselves more akin to Facebook or Google, who have streamed events and attempted to focus advertising towards specific viewers based on their habits. However, as our own Andrew Bucholtz noted, it’s not entirely clear how DAZN will be able to do that as well as those tech giants. It’s also unclear just how much insight DAZN will be able to gain into its customers and if that will really help them serve better ads. Yes, they can presumably pull things like location from members’ billing addresses, but location alone doesn’t mean much. And especially at a point like this where DAZN’s main U.S. offering is boxing, they’re not going to find much revelatory from viewing habits; they may be able to target one kind of ad to boxing fans and one kind of ad to soccer fans, but there are huge differences from one boxing fan to the next. Also, Skipper cites Facebook and Google as examples to follow here, but anyone who spends any amount of time online knows how wrong Facebook and Google still often are with their targeted ads, and they have far more information on their users than DAZN will (presumably) be able to get. DAZN will get its first big sports league showcase to premiere that new ad model when they start streaming Major League Baseball content as part of a new three-year deal. The deal, which has apparently helped along by a consulting Jamie Horowitz, doesn’t include live games but will include live cut-ins coinciding with a studio show. Per the WSJ, market-research firm Ampere Analysis estimates that the streaming service will need to acquire 1.5 million U.S. subscribers to break even on the deal. It’s unclear how many subscribers they have at the moment.